Her new documentary explains how the “slavery loophole” perpetuates racial disparities in mass incarceration. 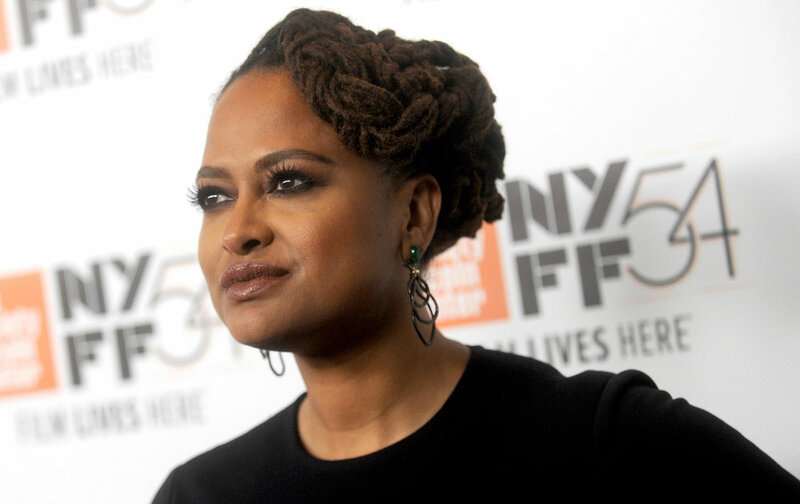 Ava DuVernay’s critically acclaimed documentary 13th began streaming this past weekend on Netflix and tells the haunting but truly American story of how the 13th Amendment abolished slavery in 1865, “except as a punishment for a crime.” Four million enslaved people, representing 90 percent of the black population, became citizens of the United States with the amendment’s ratification. In an instant, $3 billion in human property, a value three times greater than all American manufacturing and seven times greater than all banks, transferred hands. Black people took immediate control of their own labor and political power. What abolition took away, the modern criminal-justice system restored: a racialized system built in the South to economically exploit, socially contain, and politically control the black population in the name of law and order. The film traces what it calls a “slavery loophole” and its unparalleled, century-and-a-half of success in making America the greatest and wealthiest jailer in the world. The Brookings Institution estimated in 2014 that the entire prison industry is worth $80 billion. That’s a whole lot of money and profits in the pockets of correctional employees, supply vendors, private employers of prison labor, and private prison contractors. Where else but “in the land of the free and the home of the brave” can so much freedom and income be subsidized by so many unfree. The film makes clear this seeming contradiction is no contradiction at all. 13th could not arrive at a better moment. With almost weekly high-profile police killings of black people, the long history of law enforcement as the foot soldiers of this massive criminal-justice system has finally caught up with it. Or so it seems. Confrontational protests, grassroots organizing, and a series of Department of Justice investigations have led to widespread calls for police and prison reform—and abolition in some circles. Even in a presidential race notably bereft of sophisticated policy debates, implicit bias, and institutional racism within the criminal-justice system are at least getting some air time. The false distinction between the system and the police in Governor Pence’s statements makes perfect sense given that his running mate Donald Trump has been endorsed by the roughly 300,000-strong Fraternal Order of the Police. Trump, running on a neo-Nixonian law-and-order platform, wants to nationalize a new and improved stop-and-frisk system, using as a model New York City’s 12-year run of 4.4 million stops, with an error rate of about 90 percent. As long as the slavery loophole exists, police officers, no matter their individual race, will remain a protected class, and the black population, no matter an individual’s success, will remain a criminal class. Without a full cost accounting of our racial past, with its recurring echoes of black criminals and brown rapists who are in need of law and order, it is hard to imagine significant criminal-justice reform. There is bipartisan support for reform among state and federal lawmakers, most notably Speaker Paul Ryan and Senator Corey Booker, who has a cameo in the film. They are promoting measures to reduce the severity of drug sentencing, to invest in reentry programs for people returning home from prison, and to create a range of programs diverting individuals from prison. Well-intended measures that do not adopt a past and present racial lens, however, risk leaving intact or worsening current racial disparities. A significantly reduced prison population does not, for example, ensure that the proportion of blacks behind bars will shrink. In a system that grew from 82,329 prisoners in 1890, at the dawn of the Jim Crow era, to over 2.2 million today, blacks have remained roughly three times over-represented—a range of 30 to 40 percent of the incarcerated population—no matter the system’s overall size. History is not on our side. Regardless of whether one thinks current police practices are justifiable—that is, whether police officers are neo-slave patrollers or “the best of us,” as Pence said; indeed, both can be true—black defendants will not benefit substantially from diversion programs, drug courts, and other alternatives. De-carceration alone, in other words, will not close the punishment gap or challenge pre-existing racial hierarchies in how the system prioritizes whom to police and punish. Another way to consider the problem is this: Think about the ongoing war on drugs and the contrasting opioid “crisis” and all those nonviolent white drug criminals—living in low-police areas—who will be disproportionately and deliberately kept out of prison. As 13th shows, just as the slavery loophole was more than just “bias”—it was an intentional means to regain control of the black population after slavery—so too must reform be intentional about closing the loophole and abolishing lawful racism in the criminal-justice system.